Aaron Forsythe, head of magic R&D, was on the Brainstorm Brewery podcast two weeks ago. Among the many things mentioned on that show was that sanctioned Modern events have tripled in one year. There were three times as many of these events held and sanctioned, meaning that this format is not only accessible, it is popular, despite the financial barrier to entry that has occurred in the past year. Shocklands pushing $100. Tarmogoyf going up despite being in Modern Masters. Spell Pierce being a $2 common. The list goes on. 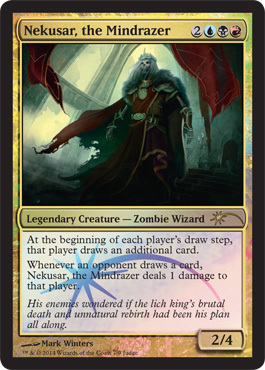 Commander has seen a similar set of price trajectories in the past year, with a range of cards spiking due to Nekusar’s popularity and the release of a second set of Commander decks. Some of the format ‘staples’ are at high prices due solely to the appeal of this ‘casual’ format. In many ways, these two formats have allowed Magic to have a period of sustained and substantial growth. More and more people are not only taking up the game, they are finding the ways to play that appeal to them. EDH brought back stacks of players, and when we returned to the game, we found that our old cards were worth enough to pay for our re-entry into this game. I’ve said before that I’ve done my fair share of selling out. I wanted the cash instead of the cards. I’m likely to do so again. When it comes to the growth of Magic, I’ve come to the conclusion that for the most part, reprints are not going to affect the price for long. Wizards has demonstrated that they want to err on the side of underprinting, and in some cases, being in a major set has not affected the price for long. Thoughtseize is going to be an exception, but it would not be surprising if that card regained a price level of $40 within two years. While I can’t think of another game that waited until years 16-20 to start such a period of growth, I feel pretty good about the next couple of years. I don’t know if the next large fall set (a revisitation of an old one, if the pattern holds. Dominiaria? Alara? Zendikar?) will be the best-selling set ever again, but I can say that it will be fun to introduce new players that way. As for some specific cards, I’m quite surprised at Athreos’s current price. We’ve barely started events with Journey, and until we start getting more results, I’d be happy to trade these away at $25 or so. It’s cheap and capable of being powerful, but what creature in Standard are we recycling for value? Perhaps that will be answered soon. Mana Confluence is slowly trending down. It’ll be present in greedy control decks for the next year, but probably at a 2-or-3-of. I’m really surprised that with some decks not running basics at all Burning Earth hasn’t had a chance to shine. I’d pick up any Confluences around $10, but it hasn’t gotten that low yet. I would absolutely trade for them at $40 in value, though. Foil Kruphix, God of Horizons is around $25 and I would happily trade for them at that price. The casual appeal for that card is measured in megatons. Finally, a word about the judge foils recently announced, including Force of Will: These include some very chase cards, and I’m least surprised by the old-frame Sword of Feast and Famine. 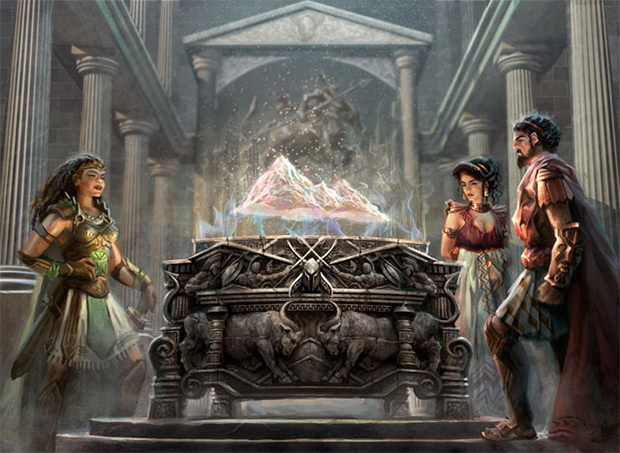 You may expect Body and Mind and War and Peace to follow, as Wizards knows collectors love their cycles dearly. I do not expect many of these foil Forces to make it far. They are going to be snapped up quickly, and I’ll be watching the effect on the non-foil Forces. Terese Nielsen has put some legendary alters of this card on the market for those who needed to make their nonfoils more unique, so there’s some collectors who might not care at all. Will the market get flooded with nonfoils as people upgrade to foils? I don’t think so. I expect the nonfoil price to hold steady…with a good chance of it rising. Modern Masters taught us that when you bump the supply of a card, especially something that’s often a four-of, the demand can go up even more. We will have to wait and see. 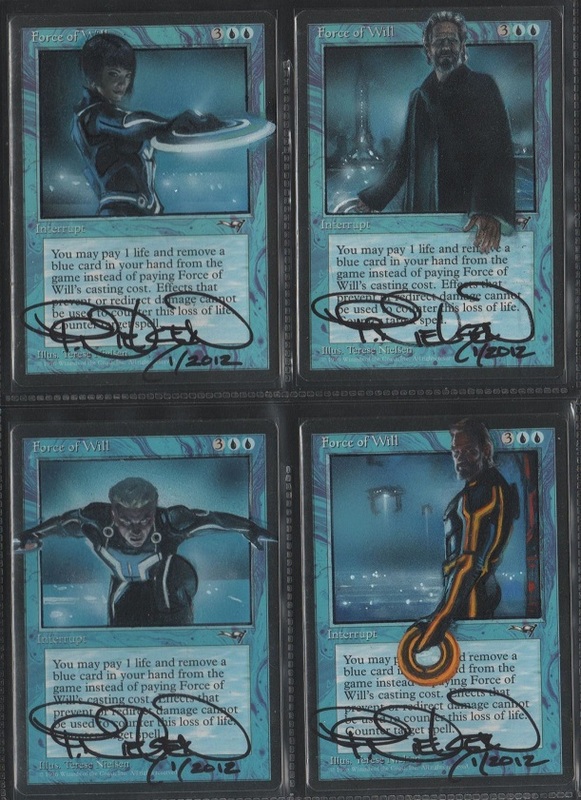 I’d love to have one of the first judge foils, just to set the market on eBay! Track your collection's value over time, see which cards moved the most, track wishlists, tradelists and more. Sign up at MTGPrice.com - it's free! I wouldn’t mind if they went back to Dominaria if that meant the ally-coloured fetch-lands came into Modern as well. Sign up for a FREE MTGPrice.com account and track your MTG collection's value, get regular market updates and more!